A state lawmaker abruptly resigned Wednesday before the start of Maryland's General Assembly session, which opened in the backdrop of a federal bribery investigation involving elected officials that recently became public. The resignation letter of Del. Michael Vaughn, a 59-year-old Prince George's County Democrat, was received by House Speaker Michael Busch's office less than an hour before the legislature convened at noon. A delegate since 2003, Vaughn wrote that his resignation was effective immediately, only citing "ongoing health challenges." Federal prosecutors have not named any sitting lawmakers as part of the probe, but U.S. Attorney Rod Rosenstein said Tuesday at a news conference that "more than one legislator" remained under investigation. The news conference was held to announce that former Del. William Campos, of Prince George's County, had pleaded guilty to bribery and conspiracy in a public corruption case involving the liquor industry in the county. Federal court records made public last week noted that an unnamed official who is a target of an ongoing public corruption investigation was a member of the House Economic Matters Committee and voted last year to expand alcohol sales in Prince George's County on Sundays. Vaughn was a member of the committee and voted for the measure. Prosecutors last week announced charges against two liquor board officials and two business owners in a bribery scheme. Maryland Del. 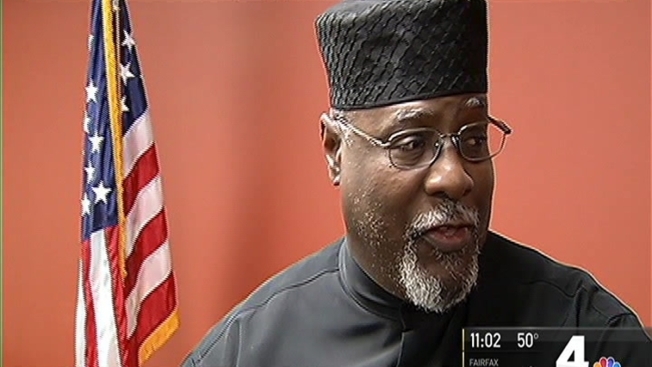 Michael Vaughn (D-Prince George's) resigned Wednesday before the start of the new legislative session in Annapolis. Many fear it could be linked to the ongoing federal probe of alleged bribery and corruption in the state. News 4's Prince George's County Bureau Chief Tracee Wilkins reports. The federal case has cast a shadow over the start of the legislature's annual 90-day session. 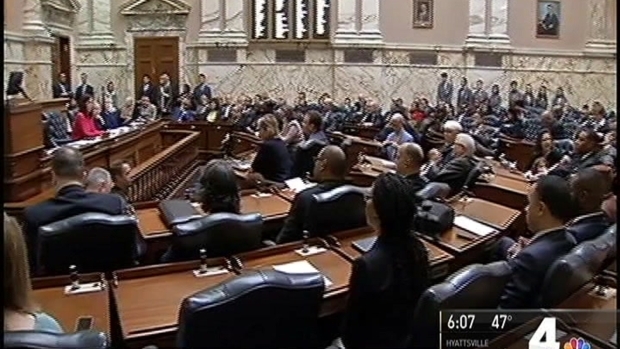 The mood of the Prince George's County delegation to the General Assembly was "somewhat apprehensive" as lawmakers await another development that could affect a colleague, said Sen. C. Anthony Muse, D-Prince George's. In a separate matter, Maryland's state prosecutor announced an indictment on Monday against a man who had been scheduled to be sworn in as a new House member on Tuesday to represent the city of Baltimore. Gary Brown Jr. has been charged with making illegal campaign contributions to the campaign of Baltimore Mayor Catherine Pugh. Meanwhile, as the session got underway, leading Democrats who control the legislature described an uneasy relationship with Republican Gov. Larry Hogan. Hogan, who is entering his third legislative session with high approval ratings, said he is eager to work with lawmakers to have a productive session. "I'm going to try to continue to work in a bipartisan fashion with people regardless of their party affiliation," Hogan said Wednesday morning at an annual summit organized by "The Marc Steiner Show" on WEAA-FM and The Daily Record. But Busch, D-Anne Arundel, said he hasn't had a meeting with the governor since the middle of last session. "The fact of the matter is, you know, he wants to talk about working on bipartisan, common sense legislation. I'm just trying to figure out who he's working with,'' the speaker said during the summit. Lawmakers will be wrestling with a $544 million budget gap for the next fiscal year. They also will be weighing proposals to require paid sick leave and to either extend a moratorium on the hydraulic oil and gas drilling process known as fracking or ban it.